Looking for a way to make everyday homemade burgers a lot more interesting? 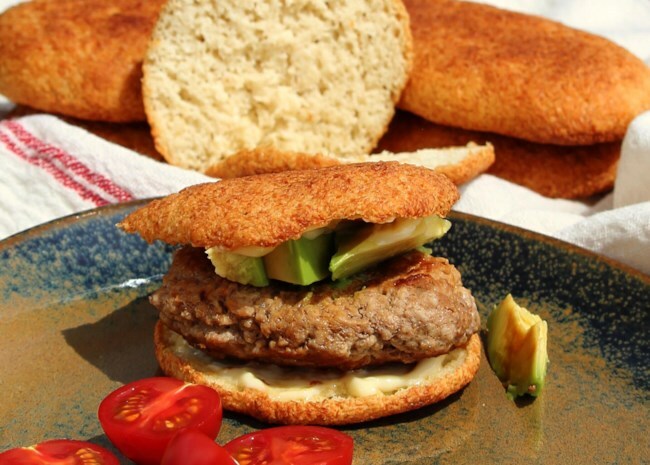 Try making homemade hamburger buns. They're easier to make than you might think, and their fluffy texture and just-baked flavor beats store-bought any day. From pretzel buns and onion rolls, to a keto-friendly version — and even a recipe you can turn into hot dog buns — there's more than one way to bake up a batch and bring a little something extra to every bite. 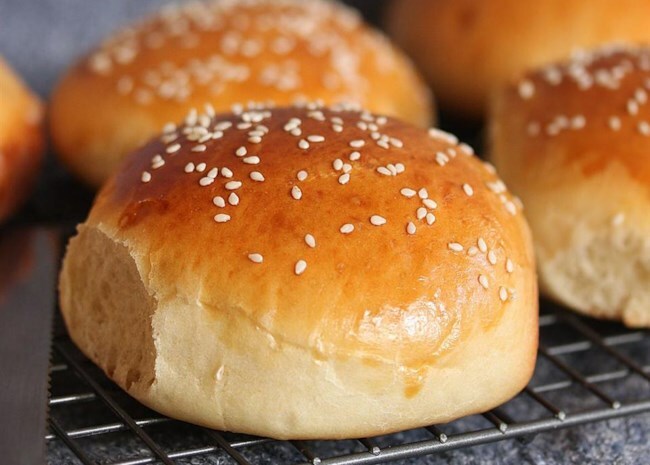 I'll share recipes for homemade hamburger buns, plus practical tips for making and storing burger buns ahead of time so they'll be ready when you are. Make and freeze. Whip up a batch or two in one baking session, then freeze for easy weeknight dinners. Be sure they are completely cooled, then wrap tightly in plastic and store together in a freezer-friendly resealable plastic bag. Don't forget to date the bag so you know when they were made. Use within 6 months. Defrosting your buns. Simply set them out on the countertop for a few hours, still in the bag and wrapped so they don't dry out. Reheating your buns. If you're a little impatient and don't have time for counter-top thawing, remove hamburger buns from the plastic and either place in a baking dish covered with tin foil, or wrapped completely in foil, reheat in the oven on 250 degrees F for ten to 15 minutes until warmed through. You can do the same thing when they are thawed to get them a little toasty, but just heat for eight to ten minutes. More: See our entire collection of roll and bun recipes. 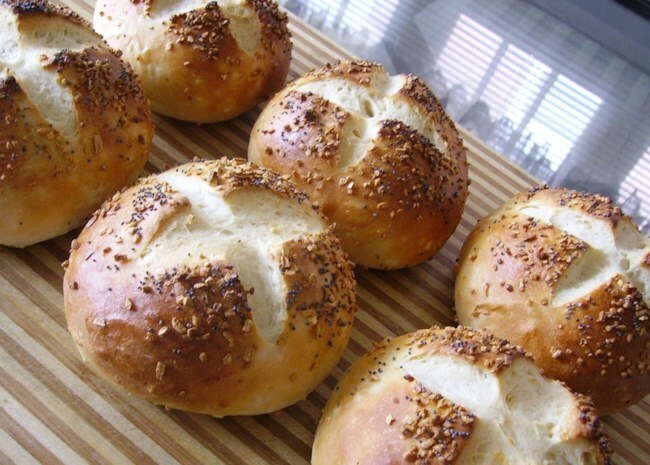 These rolls bring a little extra something with minced onion sprinkled on top. LehighBarbie says she's used them a variety of ways including for "burgers, pulled pork, and lunch meat sandwiches. We loved the onion flavor of these rolls so much that I will never buy them from the bakery again." It's all in the way you shape the dough! This recipe comes in handy when you're having a feast of hot dogs and hamburgers. And Amber has a great tip to make these even easier: "I've been making this recipe for a few years now. If you have a bread maker, just throw all of the ingredients in, making sure to slightly beat the egg first. Run it on the dough cycle. Once that's complete, follow the rest of the recipe from step three." These buns are just begging to be paired with a burger topped with Swiss cheese and honey mustard, according to this recipe's submitter. And if you're vegan, mz rowe has found some winning ingredient substitutions: "I used two teaspoons of ground flax seed with three tablespoons of water for the eggs, and soy milk for the regular milk. I also oil instead of shortening. The buns came out perfect! They are soft in the inside and nicely tanned on the outside with a little crunch." Perfect for anyone on the keto diet, and Sherry says they were fantastic: "These taste and have a texture like a wonderfully nutty whole wheat roll." She also has a great tip that will help anyone who likes their burgers big. 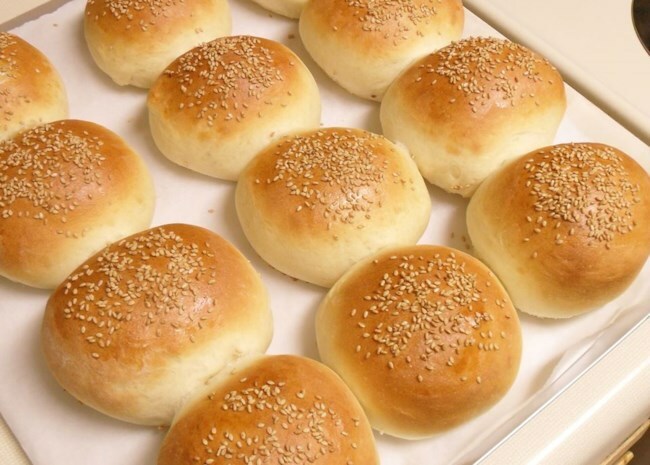 "The buns are rather small if you divide the recipe into six pieces, but they are filling. If you want full-size hamburger buns I would divide the recipe into four." 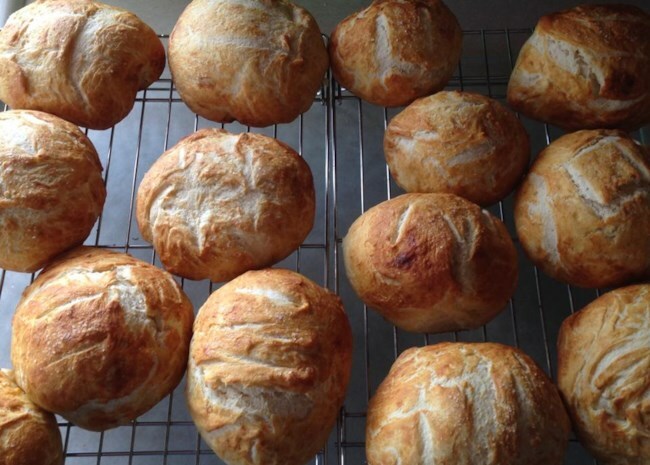 Related: How to bake the best yeast breads.